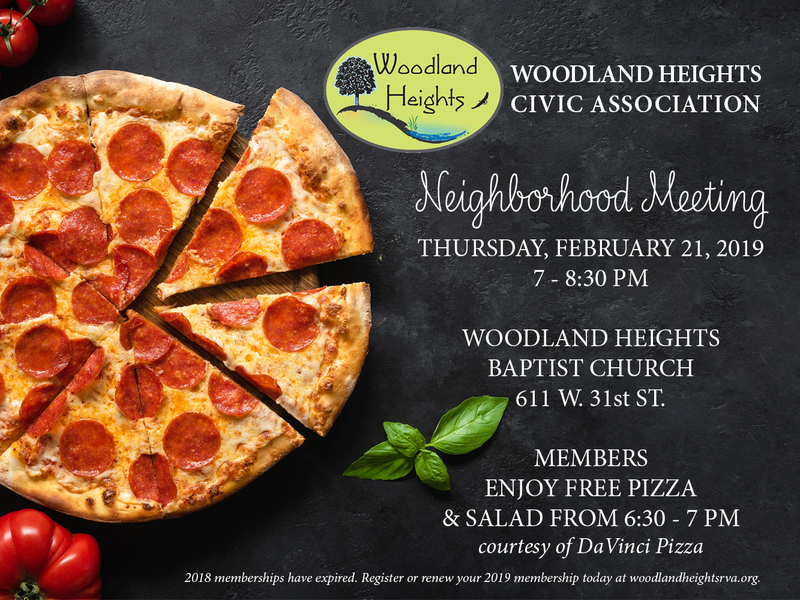 Join us for our first Woodland Heights Civic Association meeting of 2019. We hope you’ll join us as a member, grab some pizza and salad from DaVinci Pizza, and take advantage of the opportunity to get to know your neighbors! Social begins at 6:30 pm. Business meeting begins promptly at 7:00 pm. Agenda items coming soon.